FLV to iPod: How to convert Flash FLV to iPod, put FLV video on iPod? How to convert Flash Video FLV to iPod MP4 (.mp4) video? I downloaded some classic movies with FLV video format from YouTube so that I can enjoy them on my iPod at anytime and everwhere.However, that video format is not compatible with iPod. 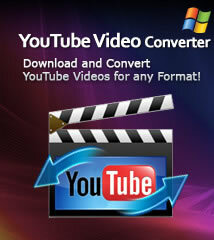 Now,I am looking for a program which can help me to converte the FLV to iPod. 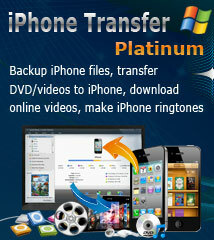 You are in the right place, ImTOO iPod Movie Converter is featured as a professional video converter software for iPod, iPad and iPhone. This article is about how to convert and transfer Flash Video FLV to iPod video(iPod touch, iPod nano, iPod classic, etc. )easily and quickly with a few steps. Step 1: Download the iPod Movie Converter, install and run it. Click "Add File(s)" button on the top menu to import your Flash Video (.flv) video files into the program. Set output format: Click "Profile" drop-down button to select an iPod video format, such as "iPod touch MPEG-4(480x320) (*.mp4)", "iPod touch MPEG-4 Wide Screen (*.mp4)", etc. A. Save to computer: Click "Browse" button to select the destination folder. B. Save to iPod directly: Click "Output to Device" button. Click "Convert" button to start the FLV to iPod conversion. Just wait a moment, your conversion will be finished. How to manage iPod without iTunes? How to transfer video/songs from iPod to iTunes?